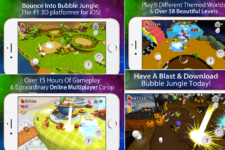 Fluttabyes is a free version of its premium sibling that offers an addictive game-play with wonderful graphics. The game is based on Match-3 concept. 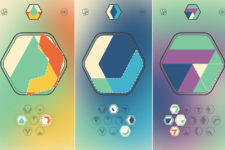 Even though there are a lot of games based on Match-3, Fluttabyes makes you feel that you are playing a unique game. There are Butterflies in a board and you need to match 4 butterflies to make them fly away. This gives you score and the score determines the win. Those tiny butterflies makes the board looks pleasing. 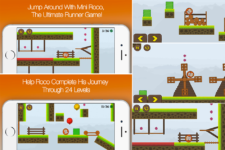 The game contains various levels and after an easy start, the games get more challenging. It is great fun, isn’t? I bet that this will hook you on your iPhone for hours. Do not say we are not warned. 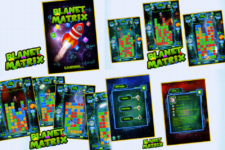 Fluttabyes brings the simplicity and addictive nature of the Match-3 concept games. All you have to do is to connect 4 or more butterflies of the same color to match them and score. More butterflies you connect, more points you score. So if you what would be challenging while doing the same things again and again. Fluttabyes stands out from the crowd on this. 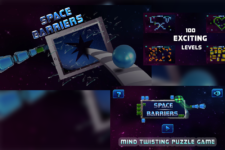 The game gets more challenging with every passing level and you also need to score more the previous. There is a timer in the board and every quick move, not only saves you time, also give you bonus points. If you think what is the point of matching more like 6 butterflies or 9 butterflies, while you can score quick with 4 butterflies? Think again! You will get a lady bird for 6 butterflies and matching 9 butterflies gets you rainbow butterfly. These butterflies has unique features like making all the butterflies in the row & column of the powerful butterfly. This free version of Fluttabyes will allow you to play only in SURVIVAL mode. In this mode, there is a time limit of 60 seconds. The premium version of the app contains more modes like Endless (Without a timer), Solitaire, Drop (like Tetris), and Rush. There is a leader-board which adds more fun by creating a purpose to play more. 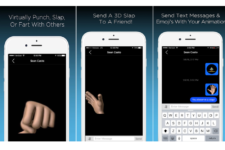 You can compete with near everyone on this Earth (of course, with an iOS device). 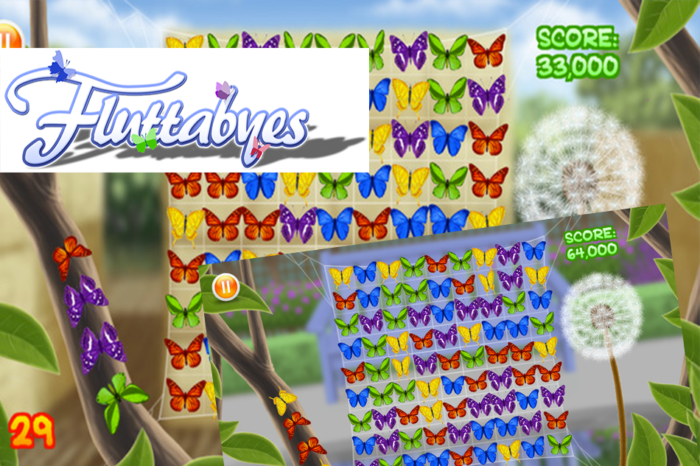 Fluttabyes game is well suited for people of all age groups. Those who are looking to kill sometime while waiting or traveling will find this game addictive. The game is available for all iOS devices like iPhone, iPod & iPad. The premium version of Fluttabyes is available for $1.99 in the App Store. Fluttabyes makes you feel that you are playing a unique game. There are Butterflies in a board and you need to match 4 butterflies to make them fly away.